This winter, if you don’t want to hear the words ‘ruptured’ and ‘your pipes’ used in the same sentence, UK Electrical Supplies has the perfect product for you: Heat Mat PipeGuard. Heat Mat PipeGuard will defend your plumbing even at temperatures as low as -25°C! UK Electrical Supplies offers the full range of available PipeGuard lengths, so you’re sure to find the size you need. Why let ice interfere with your water works? 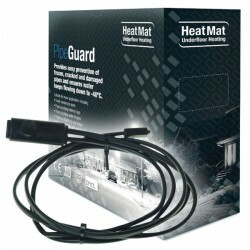 Invest in PipeGuard Heat Mat now and keep things running smoothly. Remember, if you spend over £50, we will dispatch your order for FREE! If you require further information on any of the products below, please feel free to contact our customer support team.